We are among leading merchant exporters, engaged in offering supreme quality branded Cosmetics Products. We continously keep on increasing our product range. We export the best consumer brands available in the market. Cosmetics Products are made available in different packaging options as per the brand. We are offering 2 In 1 Non Transfer Lip Gloss to our clients. 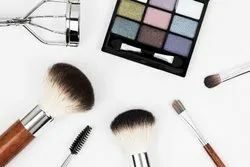 Pioneers in the industry, we offer cosmetics products private labeling, third party manufacturer of cosmetics products, cosmetics third party manufacturing, manufacture of cosmetics for third parties, private label skin care products and cosmetics products contract manufacturing service from India. We are trader of Cosmetic Product for Hotel Purpose in delhi. We can deliever Cosmetic product for hotel purpose in all over of india. Our Cosmetic product for hotel purpose in good quality.